Here is one more: a two year old power house: Typescript. You check out some sample code; pretty much everyone honors the time-resisting grand-standing tradition: Hello. Hello world, hello you, hello John Doe! It does not help much. What am I going to do after the hello? Surprise! Typescript is a Microsoft baby. Typescript was first released in 2012, after two years of internal development. It is created by Anders Hejlsberg, a Danish software engineer whose speciality is producing superb and massively popular languages (C#, Delphi). Typescript has found a euphoric community, has had an ever growing list of support in IDES and text editors (Eclipse, Visual Studio 2013 update 2 and above, Sublime text, VIM, Emacs). 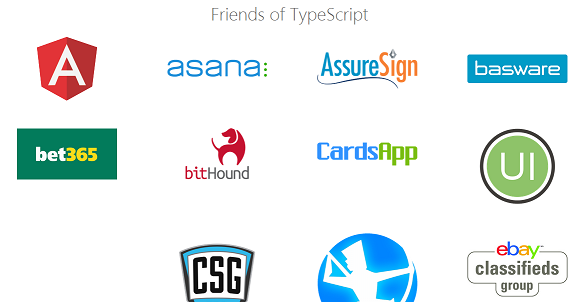 Typescript has accumulated a powerful list of “friends”. The most important of them (to me) is Angular 2 at Google. As a matter of fact, Angular 2 abandoned their own attempt of developing their superset language AtScript and now fully embraces Typescript. Well, if Google follows suite, who would not? The right-hand side of an arithmetic operation must be of type ‘any’, ‘number’ or an enum type. Lack of code organization that is a must for any large scale application. Typescript’s solutions are interfaces, classes, and modules. Interface is for abstraction, provides definition and structure of your classes, types and libraries. Classes provide, well, classes! Also inheritance, private/public modifiers, accessors, static properties and more. Oh, that takes a whole book to write about classes. Plus, any C# devs will just say: oh shut up. So I just borrow the following code from typescript website. Modules is Typescript’s answer for namespacing, where you group your classes, interfaces, variables, functions into logic units. No. There are things I am not really a big fan or have to get used to. Though you can always fool around by using the Typescript magical Any keyword as the following (see the stackoverflow post here). Official documentation is also lacking, many, many times StackOverflow is my only hope. My experience with using TypeScript with Sublime Text is not all smooth. Let’s Roll Our Google Maps, Shall We? Ok, now we have done our 5-minute long elevator speech; let’s roll our Google Maps, shall we? Second: take the necessary steps to bring in Typescript support to the IDE or editor of your chosen. Additionally, I use express js and node to serve my HTML files, so you may want to grab those as well. Or you can host your HTML in any other ways you prefer. 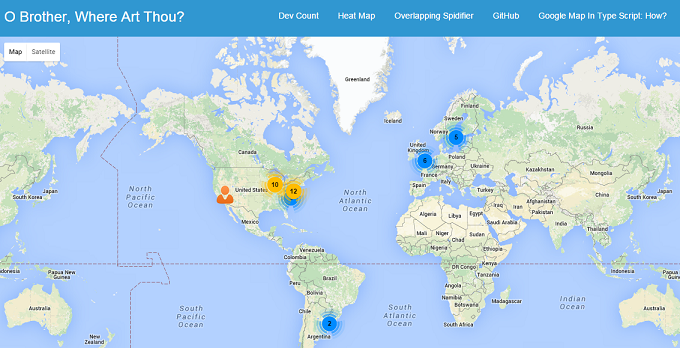 Create a class called GoogleMap that plugs in the few strands of logic. Inside of the constructor, I have some default map options set up. Other than the constructor, there are a few private helper methods to set up the heat map layer, create clustered map markers, and methods to calculate the center point of the map. With that, assuming the code compiles successfully, you should find a mapping.js in the same folder. Now we can work on our HTML code, include the js / css files as usual. Please do not forget to include all of the library JS files. And, hey, they are using Typescript.